For those people who are just setting out on the road to keeping their own chickens, we’ve put together a few tips and hints which might help to answer some of your questions. Whether you’re looking for some pretty looking new garden friends, or starting up to become self-sufficient in egg production, your new hens can provide you with lots of enjoyment for very little cost. Just look after them well and they’ll give you so much in return. If you spend some time with them, they’ll get to know you and trust you, and you’ll notice that they all develop their own individual characters. They really can be great fun! Firstly, chickens are very easy to keep and a lot of the stuff you need to know is pretty much common sense. They’ll need a nice dry, secure house, with somewhere cosy to nest, constant access to fresh clean water, and a good supply of quality food. They’ll also need a run or area somewhere outside, where they can scratch about, get some exercise, and do general chicken things. Poultry housing comes in a huge variety of sizes, shapes and designs. There are of course guidelines as to how many hens can you fit in a given area. Generally, for back garden birds, around 6 hens per square metre would be acceptable assuming the house has plenty of headroom. The house should have perches for the birds to roost on and nest boxes for laying. It’s important to be able to clean out the house regularly so consideration should be given to how accessible the interior is. Many houses have pull out, removable floor trays and this makes things much easier. Also, it’s important to be able to access the nest boxes to collect the eggs easily. Certainly, one of the most important things is ventilation. Making sure there is a good free flow of air will help to keep your birds in top condition. Poor airflow can be a major cause of ill health and the subsequent loss of egg production. Prices for hen houses or coops can vary greatly. 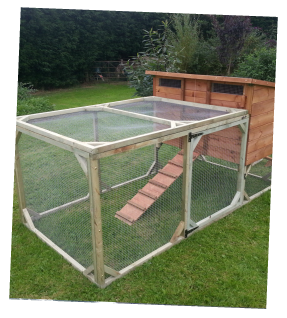 Some suppliers offer very grand looking stately homes for your hens which can cost over £1000. At the opposite end of the scale, others offer cheap imported houses for around £100 or less. Whatever your budget, remember that cheaper houses made from very lightweight materials will not last as long as hand made products made with weather treated timber. Generally, we would avoid the very cheap houses as these can literally fall apart after only one winter! Within reason, buy a good quality house and it should last for many years and pay for itself in eggs many times over! Ideally, you’ll want to be having your chickens when they’re about 16 to 18 weeks old. This is about 4 to 6 weeks or so before they’ll start to lay which gives them plenty of time to get settled into their new homes. When you get your new hens, they will probably already be on a “layer” ration of either pellets or mash. Check with your supplier so that you can continue to feed them what they’re used to. These layer rations are specially formulated to provide all of the vitamins and minerals necessary to help your birds to lay eggs. We think that it’s especially important to stick quite rigidly to this layers ration until your birds become well established in lay. We realise that it’s tempting to feed your new pets with some treats such as kitchen scraps or whole corn, but these can fill the birds up without providing the right levels of minerals etc. 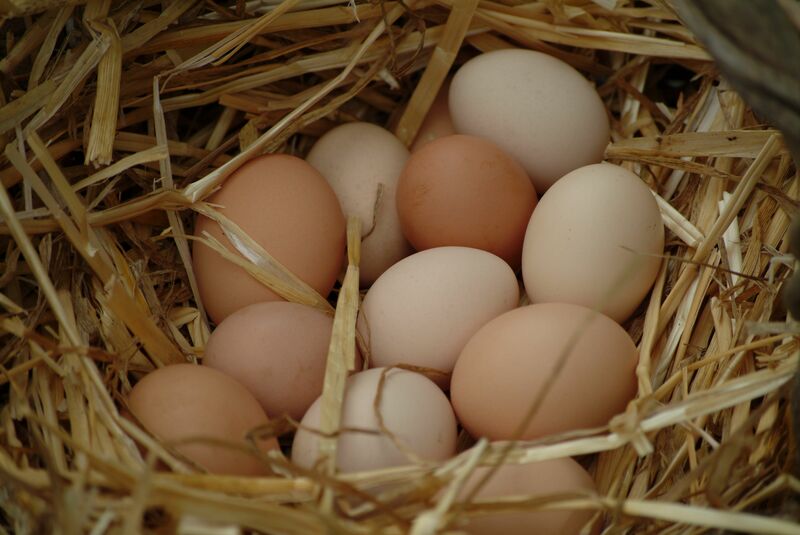 This can delay the start of your egg production, so stick to layers feed until they are laying well. Layers ration should be available adlib and always kept fresh and dry. Once well established in lay, it’s fine to give some treats in moderation. In fact, hanging lettuces or other similar vegetables for your birds to peck at will help to keep them entertained as well as providing additional nutrition. This is particularly important if your birds have a restricted area in which they can scratch and peck around. The birds should have free and easy access to clean fresh water at all times. If you’re buying hens for egg laying, then you’ll almost certainly be looking at hybrid birds. 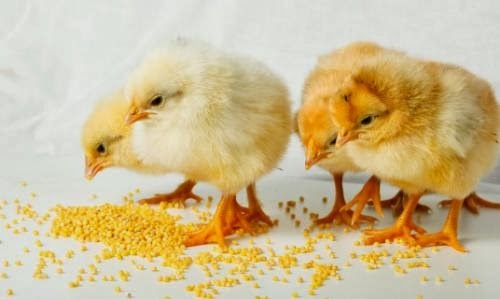 Generally, these are birds that sometimes look similar to pure breeds, but will be considerably less expensive and may well have higher egg yields. There are many different breeds of layer hens from the standard brown or ginger farmyard chicken to the prettier Sussex and Blues. They can lay anywhere from around 200 eggs per year to over 300 depending on the breed. Egg laying hybrid hens are available from around £8 each and so represent an excellent investment once the eggs begin to show. We here at Bason’s rear all of our coloured birds together so mixing of different breeds isn’t a problem as they’re all used to being with each other anyway. If you introduce birds from different places, or at different ages, they may take a day or two to settle into a pecking order. This disruption can be minimised by introducing any new birds into the coop as you lock them away for the night. They’ll tend to be much less active in the dark and this will help to reduce any squabbles. The hens that we supply are fully vaccinated against all major poultry diseases. It’s important to differentiate between cheaper, poor quality birds that have not had such a comprehensive vaccination program and those that have. We believe that hens reared and vaccinated to high standards will ultimately give greater laying performance and will be far more reliable than birds less well reared. The vaccinations that our birds have last a lifetime and will not need boosters or further applications. Like many other animals, hens may benefit from being wormed regularly. We recommend doing this twice yearly starting when they are about 6 months old. Check with the actual product used regarding egg consumption during treatment. Normally, most chickens are bright and cheerful creatures, and you’ll soon see if one of them is a little off colour. Things to look for are your hens being hunched up, off their food, becoming ”a loner”, or general lack of participation in other flock activities. At the first sign of anything untoward, try to separate the affected birds and seek veterinary advice. Mostly, chickens are very reliable and if you make sure that they’re well fed, well watered, have good airy housing, and are not stressed, they’ll generally be fine. You’ll find that it will take no time at all until your new hens have more than recovered their original cost by supplying you with tasty fresh eggs. They can also provide many happy hours of entertainment as you watch them go about their business in your garden. They can become addictive and actually quite therapeutic. Enjoy!